Hawaiian Volcano Observatory reports that the eruption continues in the lower East Rift Zone. Fissure 8 continues to produce a large channelized flow entering the ocean at Kapoho. Volcanic gas emissions from fissure eruptions remain very high. 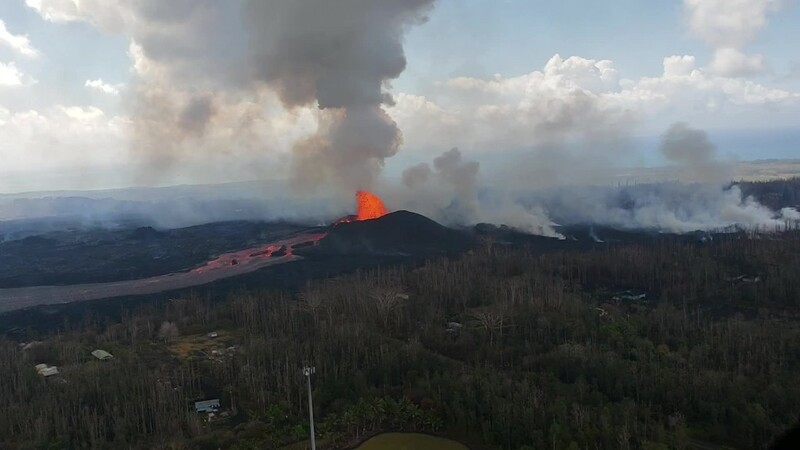 The National Weather Service reports that trade winds are pushing volcanic emissions southwest though Pahala to Ocean View areas.